Local business owners seem happy about plans unveiled last week for a makeover of Newmarket Square. The edges of the square are home to the Dublin Food Co-op, the Green Door Market, Teeling Whiskey Distillery and the Dublin Flea Market. But while the centre is sometimes used for markets, it’s often just an empty car park. 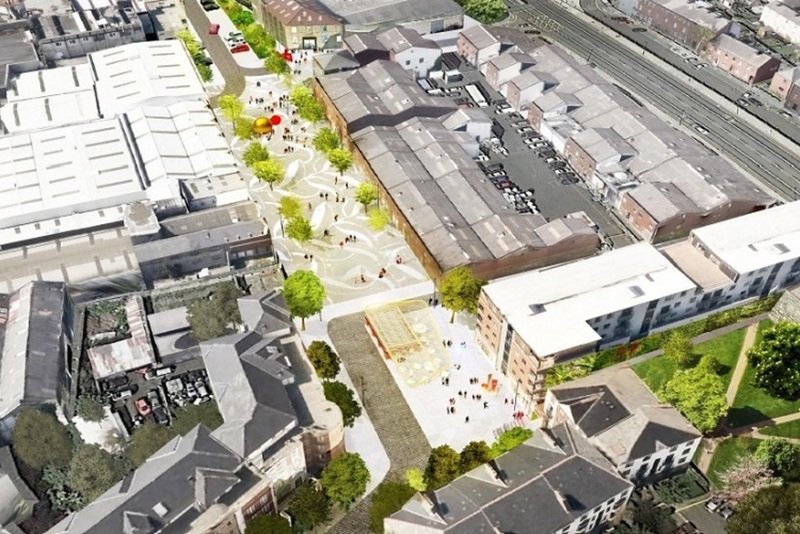 Last Wednesday, councillors on the South Central Area Committee heard about plans to transform the space into a purpose-built market area. Some hope that will mean more events there. Artist’s impression of plans for Universal Square. 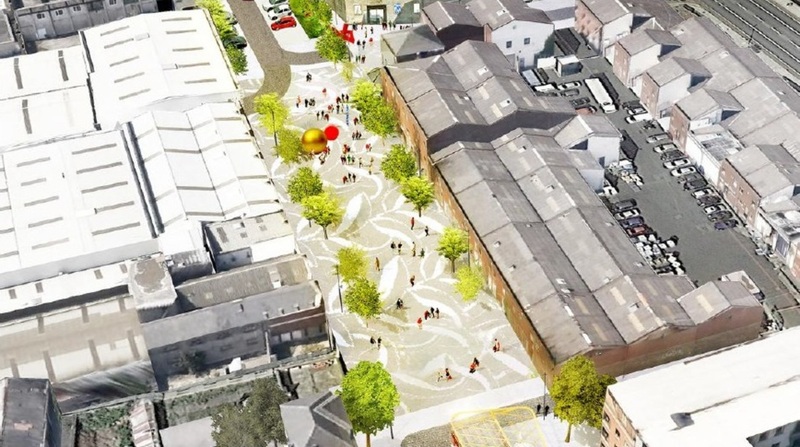 The draft plans include paving the entire area, planting trees, putting in a café with outdoor seating, and providing electricity and water points for stall holders. There would also be a car park, DublinBikes station, and seating. Under the plans, the central plaza with trees, a granite platform, and facilities for market use would be known as Universal Square. Cultural Square would be built on the eastern side of the square. There is a disused ESB substation there that council officials want to convert into a café with sheltered outdoor seating. A DublinBikes station might go here, too. 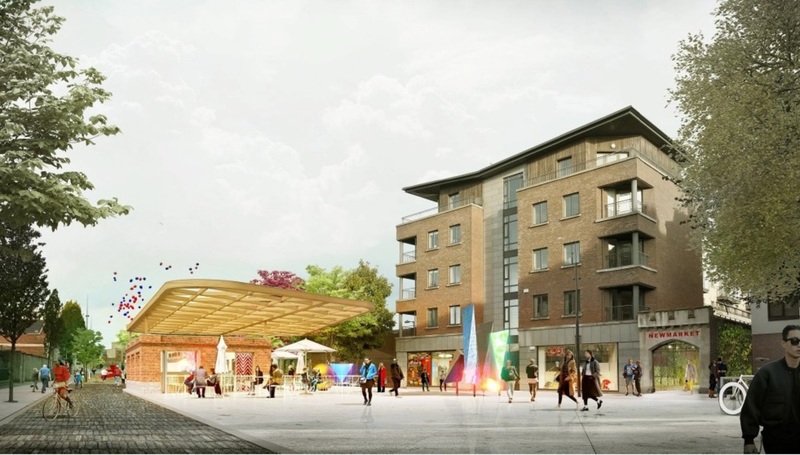 What is currently Brabazon Place would become Newmarket Square West, a car park with 37 parking spaces, a bus and coach stop, loading bays, and some trees and shrubs. 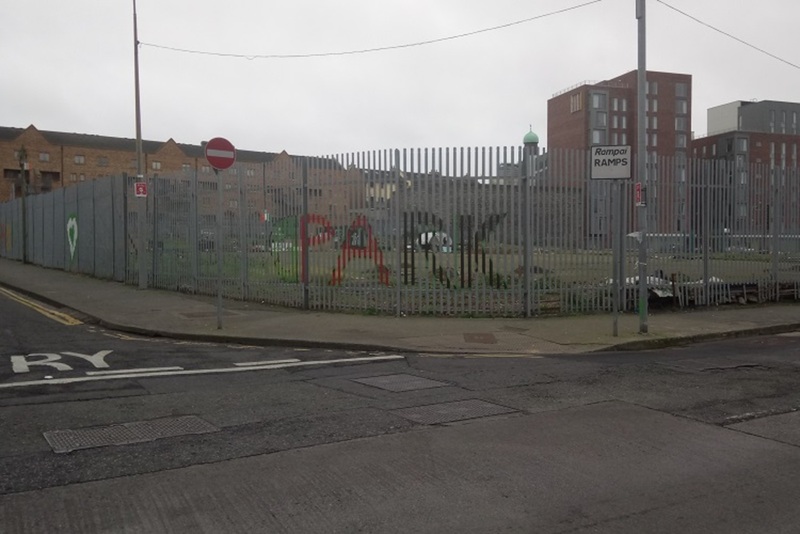 David Healy, an administrator with the council, said that this car park could possibly become a green space at a later date. 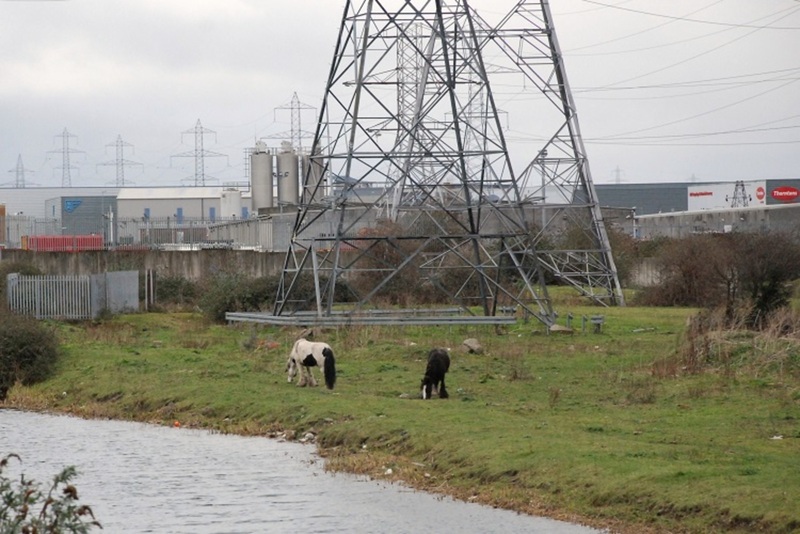 At the moment, there’s only a ball-park price tag for the project. “The indicative cost for the project is between €3 million and €4 million. Please note that this cost estimate is very approximate and could be more or less depending on the final design,” Healy said. Christy Stapleton of Green Door Market says he thinks the designs are great, but he’s not getting too excited about them just yet. Not until the money is definitely there. “I love the mix of bike and pedestrian spaces and the general layout,” he says. But to him, it’s aspirational. “I can’t see it happening any time soon,” he says. 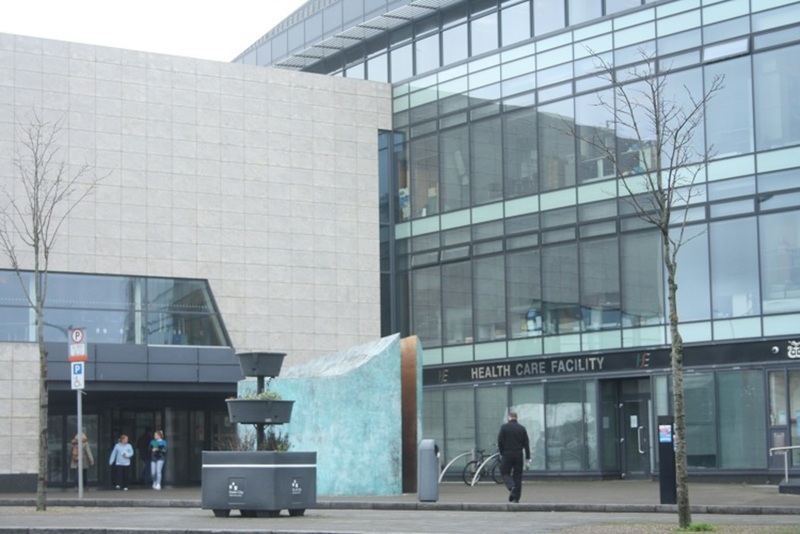 The plans may have to be rolled out on a phased basis as funding becomes available, said Healy. Cultural Square, including the café, could be in phase one, he said. 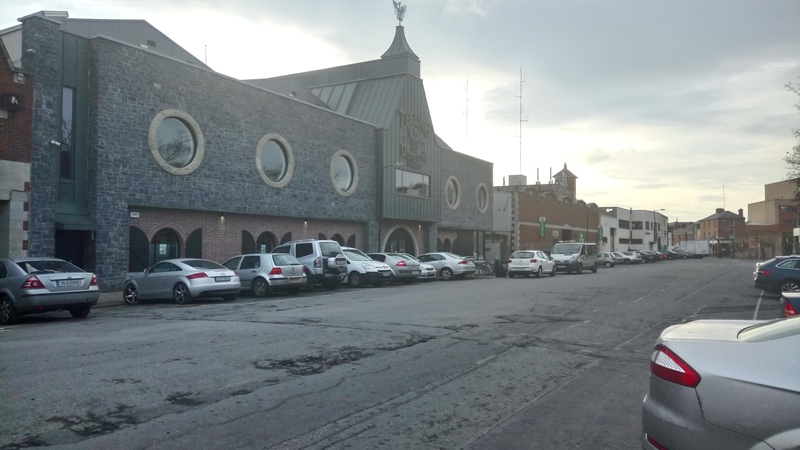 Jack Teeling, managing director of the Teeling Whiskey Company, said the plans meant that his company, and others in the area, would hopefully be able to host events outside. But, as with many redevelopments, some local businesses are worried about the potential impact on the affordability of the square. The Dublin Flea Market has been there for nine years, says Sharon Greene. As she tells it, even back when they started, the neighbourhood was home to creative freelancers and small businesses. “It was a very exciting time. Rent was cheap and people were very innovative. Many creative industry businesses now thriving in Dublin began in this very area,” says Greene. She is excited by the plans to upgrade the square and make the neighbourhood better match how it is now used, she says. Dublin Flea Market played a role in making the square a markets area, says Greene. They campaigned to get it rezoned for public trading four years ago, she says. She hopes the new plans will provide space for the 20 large stalls they the flea market uses, “so we may continue to thrive and bring life to the square”. Others also said they hoped there was space for them in the new vision. 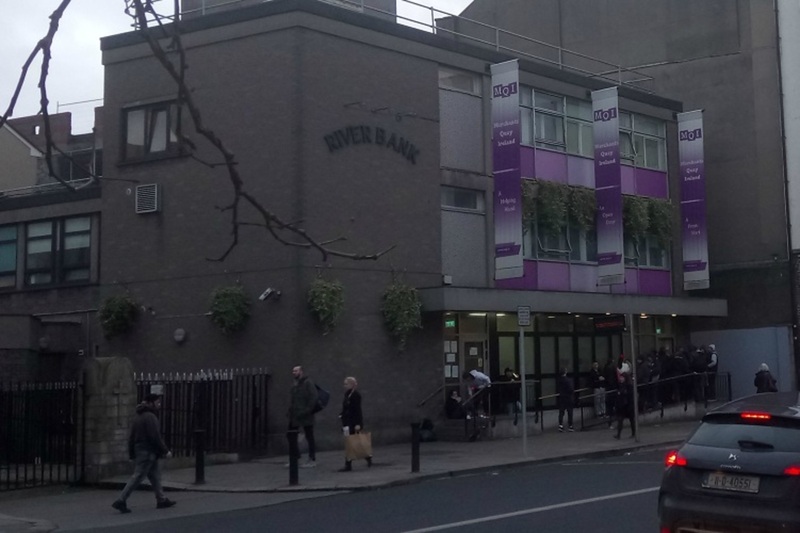 “We hope, as well, that redevelopment plans will provision for further social engagement through a community market or a food cooperative,” said Filipa Ferraz, who works with the team at the Dublin Food Co-op. Could end up a Smithfield #2 if they over egg it (as they usually do), and if their eyes are more on the prize of gentrification, as per usual. Amazing the way anything that seems to quietly work with a positive function for years, including most of the now disused abandoned markets around the city seems to crash and burn to property and greed in some shape or form eventually. Hopefully this won’t be the same. I can’t really see that it needs that much of a glossy white concreted makeover, like the rest of the city, but I guess architects must have the whole city mapped out in sunny, bright 3D on their computers at this stage. Personally I prefer the red brick of the area – looks good in the rain and murk of Dublin, rather than this drab characterless Mediterranean suited white stone they seem to be so in love with ruining everywhere in Dublin with these days. One thing they don’t seem to have planned for – rain cover. It could do with some awnings around the fringes, but again Dublin architects seem to be convinced this is the Med for some reason. @dave – are you mad? the whole freaking city is red characterless bricks, you needs something to break the monotony of everything looking the same way.